Born January 30, 1915 in Pensacola, Florida. Williams was a product of the boxing scene of Detroit where his family moved to in the early 1920s. He began boxing as an amateur in 1928 as a bantamweight and had a successful 38-bout career. In 1932 he turned pro as a featherweight and would eventually be recognized as one of the cleverest welterweights and middleweights of his era. A slick boxer, Williams was a stablemate of Hall of Famers Eddie Futch and Joe Louis and was managed by Julian Black and John Roxborough. Avoided by the champions of his day, the skillful and talented Williams never received a title bout. Nonetheless, he fought many of the best welterweights, middleweights and light heavyweights of the time. 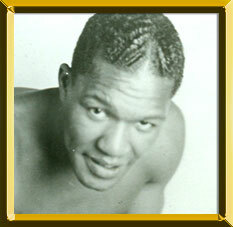 With an excellent jab, deft footwork, and taut defense, he scored victories over notable boxers such as Cocoa Kid, Charley Burley, Kid Tunero, Lloyd Marshal, Eddie Booker, Steve Belloise, Bob Satterfield, and Archie Moore. In 1946, after nearly 14 years as a pro, he lost back-to-back decisions to Marcel Cerdan and Jake LaMotta. Two years later he retired with a 145-30-11, 1NC (35 KOs) record. Upon retiring, he relocated to Akron, OH and trained young fighters there. On July 15, 1967 Williams was killed in a fire while asleep in the club where he worked.